As Planned Parenthood leadership continues to blow smoke and deceptively say they are selling apple pie and women's health, let's consider who they are. House Speaker John Boehner, who will step down at the end of October, said on "Face the Nation" Sunday, "We have got groups here in town, members of the House and Senate here in town, who whip people into a frenzy believing they can accomplish things that they know, they know are never going to happen." The Speaker was referring to the latest threat by conservative Republicans to hold up spending authorization for the government if it includes $500 million in taxpayer funds going to Planned Parenthood. According to the Speaker's "wisdom," and that from Senate Majority Leader Mitch McConnell, and other Republican establishment figures, a spending bill defunding Planned Parenthood will certainly be vetoed by the president, without sufficient votes in the Senate to override that veto. Republicans will then allegedly bear the brunt of public resentment for a government shutdown. But Speaker Boehner's characterization of the situation captures why conservatives are frustrated with him and the rest of the Republican establishment. Leadership isn't defined by polls or head counts. It is defined by principles and courage. If polls that reflect what happened yesterday are left to determine what happens tomorrow, why do we need leaders? If politics is the art of the possible, it is leadership that takes what seems impossible and brings it into the realm of the possible. Facts appear to bear out that it is not conservatives but the absence of principled leadership that has hurt the Republican Party. Supposedly Republicans received a black eye in the court of public opinion when government was shut down in 2013 as Republicans, led by Sen. Ted Cruz, tried to defund Obamacare. But the congressional elections in 2014, the first elections following the 2013 shutdown, produced massive Republican victories. Republicans picked up more seats in the House, giving them an even stronger majority, and Republicans won back control of the Senate. Pro-life forces have been trying to cut off taxpayer funds to Planned Parenthood, the nation's largest abortion provider, for years. However these efforts have been re-energized by the latest round of videos, done by the Center for Medical Progress, documenting Planned Parenthood trafficking in body parts of the infants they abort. Unfortunately, abortion on demand remains legal in our country. So stopping taxpayer funding of Planned Parenthood doesn't change anything they do. It just sends them to the private marketplace, like other non-profits, to find their funding. How can a nation, who still calls itself a nation "under God," force taxpayers to take money out of their paychecks and send it to an organization that performs some 350,000 abortions a year, and then sells body parts of these destroyed children? 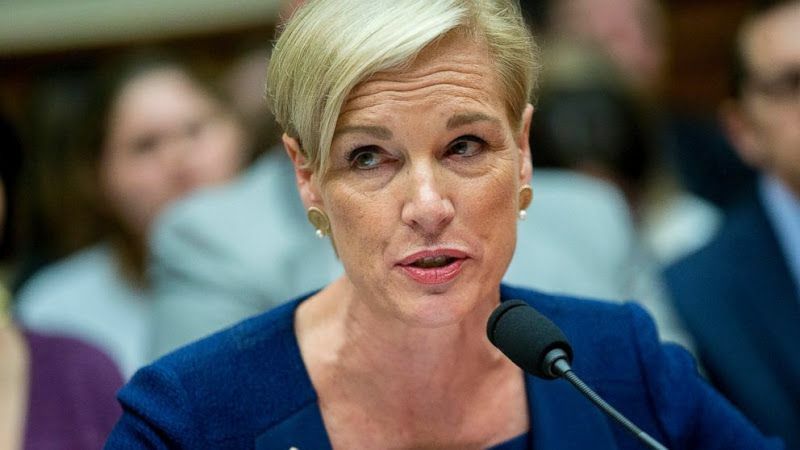 As Planned Parenthood leadership continues to blow smoke and deceptively tell the American people that they are selling apple pie and women's health, let's consider who they are. "The baby's little fingers were clasping and un-clasping, and his little feet were kicking. Then the doctor struck the scissors in the back of his head, and the baby's arms jerked out, like a startle reaction, like a flinch, like a baby does when he thinks he is going to fall. "The doctor opened up the scissors, stuck a high-powered suction tube into the opening, and sucked the baby's brains out." Fortunately, this is no longer legal. But similar brutalities continue. And now we learn that there is commerce in the body parts of these infants. Courageous Republican leadership should be focused more on getting these truths in front of the American people and less on doing vote counts.